This is to bring to your notice that payment of School Charges for the 2017/2018 session will end on Wednesday, 28th February, 2018 for all Full-Time Undergraduate Students of the University. Online Course registration will end on Wednesday, 14th March, 2018. All Course registrations are done online. Those who fail to register will not be permitted to sit for examinations. (i) Pay School Charges at the designated Banks/use debit card, for the respective College/Faculty/School(to end on Wednesday, 28th February, 2018). (ii) Print out the Payment Receipt online. (iii) Update your Fees Pass Book with the College Accountant/Finance Officer of the College/Faculty/School. It should be noted that the payment(s) made now in respect of School Charges for previous session(s) (2015/2016 session and 2016/2017 session) is/are to enable the students concerned to gain access to the platform to pay for and register for the 2017/2018 session and not for purposes of registration for the session(s) or for use of the results as by the non-registration/ application & approval for Temporay withrawal from Studies, in line with the policy of the University, such students had lost the session(s) under reference. (i) Contact your Head of Department and/or Academic Adviser to confirm the courses you should register. (ii) Register the courses online, as advised in (i) above.All Course Registration are Online (to end Wednesday, 14th March, 2018). (iii) Print out the duly completed Course Registration Form(Proof of Registration). (ii) Completed Online Course Registration Form(Proof of Registration). REGISTRATION AS A STUDENT OF THE UNIVERSITY OF PORT HARCOURT WILL ONLY BE VALID IF THE PROOF OF REGISTRATION, THAT IS, THE ONLINE COURSE REGISTRATION FORM IS TENDERED BY THE STUDENT AND ACCEPTED BY THE HEAD OF DEPARTMENT. Payment of School Charges can be made in two installments and online course registration for the respective semesters. (i) you can register (online) your First Semester Courses only at this point. The deadline is Wednesday, 28thFebruary, 2018. (ii) you are required to pay the second installment and register your Second Semester Courses online and print out the Form within six (6) weeks of resumption for the Second Semester of the 2017/2018 Session. (iii) registration for the First Semester of 2017/2018 session within the stipulated time (to end on Wednesday, 28th February, 2018) is a pre-condition for payment of School Charges and Course Registration for the Second Semester. By the Policy of the University, students who apply for and got Senate’s approval for Temporary Withdrawal from Studies for a session are not required to pay school charges and register courses for the session in which they had permission to be away. Furthermore, students in this category are entitled to an additional session, by virtue of the approval of Senate in this regard. They are, however, required to pay school charges and register their courses in the additional session. Consequently, the Students who got Senate’s approval for Temporary Withdrawal from Studies in the 2016/2017 session are not required to pay school charges for 2016/2017 session. They are advised to check their names on the University website, obtain the Notification of Resumption of Study Form from their respective Heads of Department, complete the Form and submit same, and proceed to the Bank to pay their School Charges and register their courses online for 2017/2018 session.In the circumstance, if any of the Students concerned paid school charges for the 2016/2017 session prior to Senate’s approval, they are to write to the Bursar of the University to transfer the charges to the 2017/2018 session, to enable the ICTC to update their records after which the student can register their courses accordingly. Students who were placed on Suspension from their Academic Programmes in a given session by the Senate of the University, upon serving the punishment are required to apply through their Heads of Department and the Deans of their respective Faculties, to the Vice-Chancellor and Chairman of Senate, for Reinstatement to their Academic Programmes. Sequel to the approval by Senate of the latter, they are to pay school charges and register their courses for the session in which they are reinstated. In the course of payment of backlogs of school charges, students who encounter any challenge are advised to contact the ICTC, for further directive. Please note that in both situations, the level of the student will not increase but remain the same, as they are repeating same level, having not been part of the previous (2016/2017) session. In the same vein, they were not eligible to sit for examinations in the session (in this case, 2016/2017 session), in which they were away on temporary withdrawal from studies, or suspended from their academic programmes, as applicable, and therefore, not entitled to any result in that session. 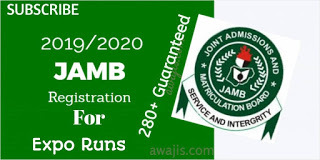 In addition to the online Course Registration,in line with Section 6.8 (under the Guidelines for Course System and Instruction) of the General Regulations and Statement of Academic Policies (2016), students are required to obtain a minimum of 75% attendance at Lectures/ Tutorials and/ or Laboratory/ Practical sessions to be eligible for examination in the courses. Any returning student who has a genuine reason/ reasons to apply for Temporary withdrawal from Studies in the 2017/2018 session to resume studies in the 2018/2019 session including those who are unable to pay their school charges for the 2017/2018 session on or before Wednesday, 28th February, 2018, are advised to complete the ApplicationForm in this regard. This is however, subject to compliance with the maximum length of time allowed for the programme of study of the student, as stipulated in the General Regulations and Statement of Academic Policies of the University and approval of the application by Senate on the recommendation of the Departmental and Faculty Boards respectively. The Application Form for Temporary withdrawal from Studies for the 2017/2018 session must be submitted by the student to his/her Head of the Department prior to the commencement of the First Semester Examinations of the 2017/2018 session. The ApplicationForm for Temporary withdrawal from Studies can be obtained from the respective Heads of Departmentat no costto the student.No Application Form for Temporary Withdrawal from Studies will be issued or received once the First semester Examinations commence. This is applicable to only Fresh Students/Candidates. To be eligible to apply for deferment of admission, candidates must have accepted the offer of admission and are registerable. Deferment of Admission is valid for one Academic session only. The Application Form for Deferment of Admission from the 2017/2018 session to 2018/2019 session must be obtained and returned to the Admissions Office prior to the commencement of the First Semester Examinations of the 2017/2018 session. No Application Form for Deferment of Admission will be issued or received once the First Semester Examinations commence. Fresh students/candidates who wish to apply for Deferment of Admission from 2017/2018 session to 2018/2019 session are advised to await further information. For all information on the University, visit the University website (www.uniport.edu.ng) and the E-campus site (www.ecampus.uniport.edu.ng). 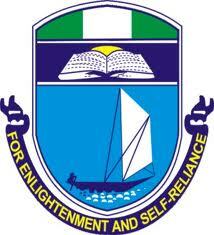 0 Response to "UNIPORT End of payment of School Charges and Course Registration for the 2017/2018 Academic Session"